Do you want to know what is the best coffee maker on the market? Then prepare yourself as there are a few possibilities to choose from. The truth is that there are many coffee brands that are worth calling the best coffee brewers, but at the end the choice is always yours. This is a must have kitchen appliance if you love drinking coffee and it can be overwhelming when deciding which is the right one to purchase. In this article I will be writing about the top brands, the types of coffee makers available today and what features you should look for. 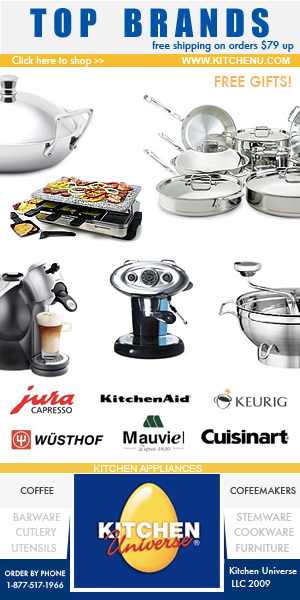 Some of the most popular brands of coffee makers are from Cuisinart, Breville, Zojirushi, KitchenAid, Braun and Hamilton Beach. It is not always about getting the most expensive coffee brewer on the market, all you need to do is choose the one that is right for you. By knowing what features to look for in a coffee brewer you will be able to make the right choice. 1 What Is The Best Coffee Maker? 3 What Are The Types Of Coffee Makers Available To Buy? 4 How Much Does A Coffee Maker Cost? The best coffee maker on the market should have several features you should look for. A coffee maker that brews fast is ideal, it should usually take 5 to 10 minutes. This will depend on how large the coffee maker is and if it is a high quality product. Other features is a coffee brewer with a removable water reservoir or dispenser. This allows you to have access to hot water at all times, which is convenient if you want to make other hot beverages such as tea. They are also much easier to clean and use as the reservoir can be taken out and filled at the sink. If you are a coffee lover like me you may want to grind your own coffee beans. There are coffee machines on the market that have a integrated coffee grinder to make a better tasting coffee. Look for a machine that has a bean hopper and a conical burr grinder which will allow you to grind your beans more easily. A programmable coffee brewer is also a coffee machine I highly recommend as they are much easier to use and can save you a lot of time. The next thing to think about is the construction of the coffee maker. Choose one that is made from stainless steel as they are much more easier to clean. Other benefits is that they will last much longer than other coffee brewers made from other materials. Once you know what features to look for , the next step is deciding what type of coffee brewer you want to get. There are single serve coffee makers and ones that can brew 12 cups or have a thermal carafe. A drip coffee maker was first introduced in the 1970’s by Mr. Coffee and is still a popular type of coffee maker today. Automatic drip coffee brewers have a wide range of features and is a great option for coffee lovers. The common features of this type of coffee maker is that it has heating elements both for heating the water at the right temperature and a element if it has a thermal carafe. They also have brew baskets which require a filter to strain the coffee as it drips into the carafe or cup. Not all machines require you to purchase disposable filters. Some have a built in plastic or stainless steel grid system to filter the coffee. Drip coffee makers are easy to use and operate and are inexpensive as well. There are a wide range of models and brands to choose from and come in different colors and sizes to suit your kitchen and needs. The price can range from $20 to $400 and will depend on the brand and how many features it has. The most common features is the timer, where you can program the machine to brew your coffee at a set time. This feature is very convenient if you have to get up every morning at the same time. This will allow you to have hot coffee as soon as you wake up. What Are The Types Of Coffee Makers Available To Buy? The kinds of coffee makers available are bean to cup or espresso machines. These are the most expensive and allows you to grind your own beans to make fresh tasting coffee. You will be able to make different kinds of coffee as well from latte, cappuccino and espresso. This machine is very automated and will do everything for you and the quality is very good. The next type is the drip coffee maker which I have explained above and is one of the most simple to use. A french press is a traditional coffee maker and is also known as a plunger. You do not need electricity or disposable filters, all you need to do is add the ground coffee and hot water. Coffee brewers that use a capsule or k cup pods are also very popular. These machines are very easy to use as you just put the capsule in and press a button and your coffee will be ready. They are also easy to clean and use and the capsules and pods are affordable as well. A percolator is known as one of the oldest coffee makers which works by using steam to make your coffee. These are not as popular today but there are available and are very affordable as well. These are the most popular types of coffee brewers on the market today. All have a wide variety of features and functions to help you make a great cup of coffee. How Much Does A Coffee Maker Cost? Most coffee machines on the market today are reasonably priced. You can expect to pay from $20 up to $500. This depends on the kind of coffee brewer you want to purchase, the espresso machine being the most expensive. If it is made from stainless steel and has many programmable features then the price does increase for these type of coffee brewers. I hope my article on what is the best coffee maker has helped you decide on which is the right one for you. For more tips read my top coffee maker reviews .